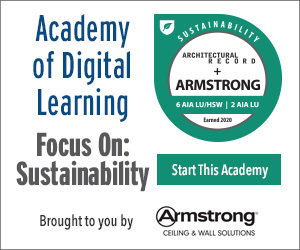 Using all of the preceding information as background and as a guideline, specifications can be written for HDPE lockers that meet the demands of a particular school project including green building needs and consistency with the overall building design intent. Normally categorized under Division 10 in the standard CSI numbering system, specifications will likely include the following information. •	Performance standards: When used in corridors, products must pass NFPA 286 to address fire concerns and the meet the Life Safety Code. In this regard, they should also be able to demonstrate compliance with IBC Chapter 8, Section 803.1.2 for Interior Finishes. •	Submittals: Shop drawings are clearly important particularly if the lockers are built into recesses in hallways or other areas and need to fit properly. Routine product data and samples for density and color are also reasonable requests. •	Green Building Submittals: Depending on the extent of green building design being undertaken, certifications for recycled content, regional material distances, and GREENGUARD certification evidence should all be requested. •	Warranties: Manufacturer's warranties on HDPE solid plastic lockers are available for up to 15 years. •	Solid plastic: High-impact, high-density polyethylene (HDPE) formed under high pressure into solid plastic components with homogeneous color throughout is the norm. A smooth orange peel finish and edges machined to accept assembly brackets is also common. The material must pass NFPA 286 to meet code requirements for corridors and at the discretion of the architect contain a specified minimum recycled content. HDPE lockers are available in a range of colors that will need to be specified for a particular project. 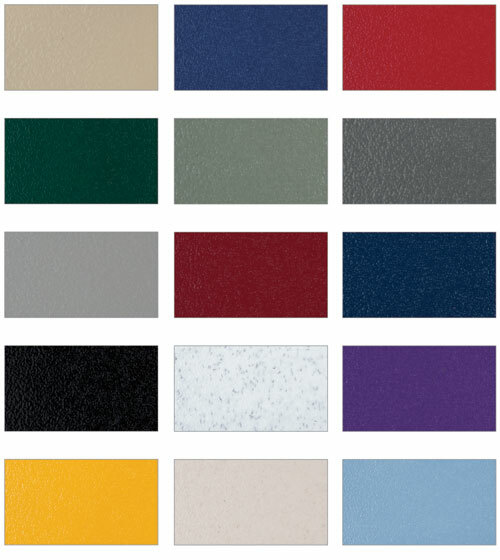 Common colors available for HDPE lockers that penetrate the full depth of the material. • Standard locker components: The sides, tops, bottoms, and backs of lockers are commonly made of 3/8-inch-thick HDPE as are any shelves. The doors are slightly thicker at 1/2 inches. The latch and strike components of the locker can also be fabricated out of HDPE along the full length of the door with a multipoint strike which means they remain durable and quiet. A full length piano style metal hinge secured to the door and frame further add to the durability and long-term smooth operation of the locker door. 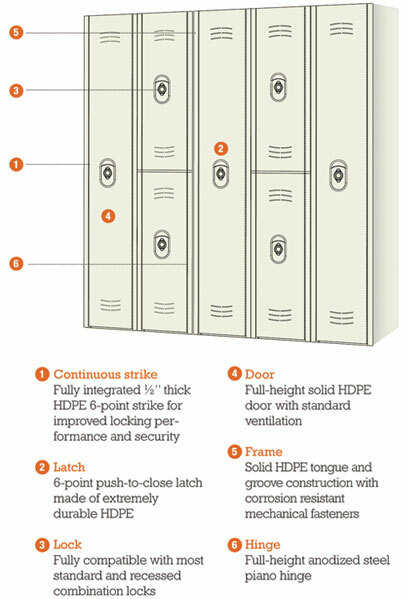 Some standard features and details that can be specified when incorporating HDPE lockers into a school project. 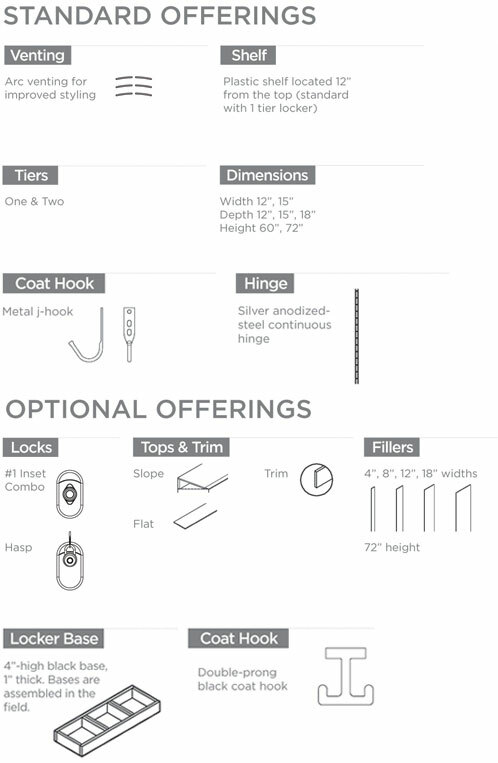 • Optional locker components: Many of the same options that exist when using other locker types are available for HDPE lockers including metal coat hooks, sloped or flat HDPE tops, bases, fillers and trim. Any of these will need to be specified to the extent that they are desirable or a needed part of the project. •	Fabrication: Full-height HDPE lockers are most common for use as school corridor lockers, but half-height two-tier locker units are also readily available. Once this basic choice is made, the rest of the fabrication details are similar between them including the basic requirements that all components are square, rigid, and free from scratches or chips in the material. Components are commonly fabricated using snap-together assembly or slide-together dovetail connections that provide solid and secure anti-racking construction. Lockers are banked together up to three units wide with common side panels between adjacent lockers.